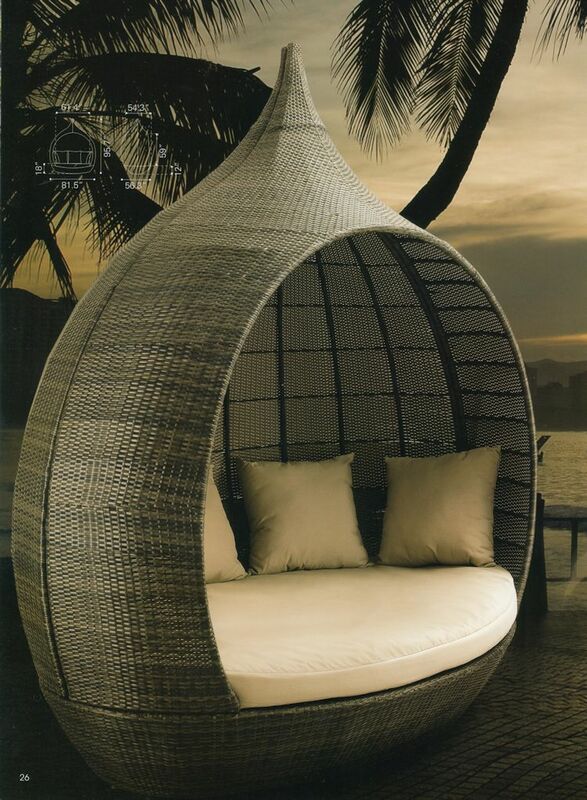 $ 3,295 - Martinique day bed | 84.5" x 59" x 96.7"H | SW - 57.5" | SD - 57.5" | SH- 18"
Martinique canopy bed made in durable PVC weave, and subrella fabrics and aluminum frame. 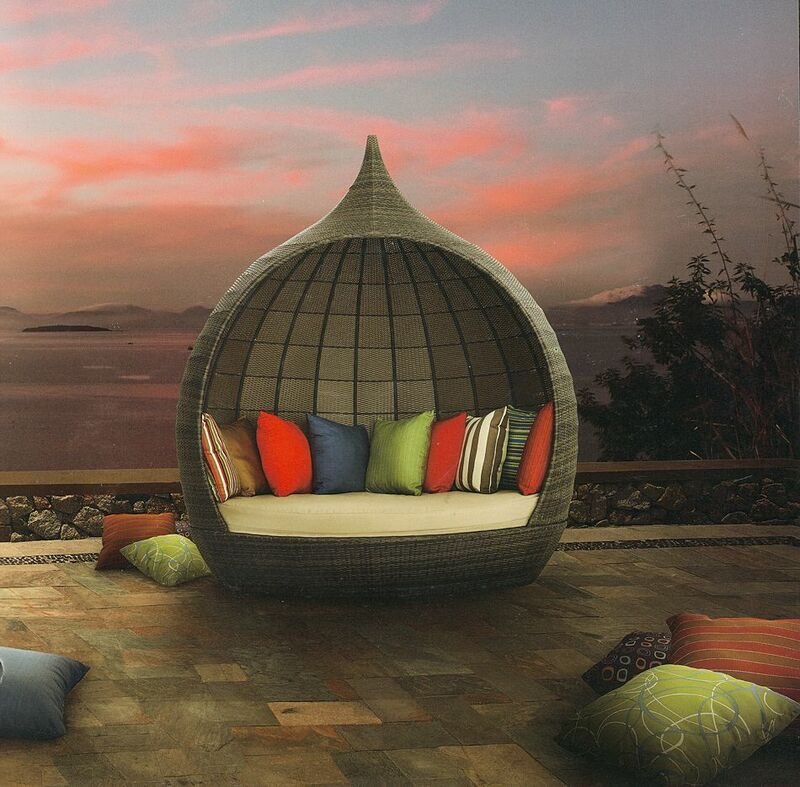 Martinique Beach is outdoor furniture made of woven PVC. It is rust proof, stain proof, and water proof.